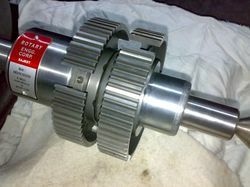 Ours is a reputed entity engaged in manufacturing and supplying a wide range of Hydraulically expanding jelly type Spline Bore clamping Mandrel. By use with spline mandrel, collets arbors and chucks can be clamp with major & minor Diameter to be perform Turning operation, Grinding operation and Inspection of auto components. The Involute Splines Mandrels offered by our company are available in a wide array of choices and they are used for the purpose of checking the outer diameter of a cylindrical object. The inner diameter of the ring gauge is made using high quality steel which is provided with a high finishing for providing a gauge tolerance. We manufacturedrift and mandrel with required taper in spline or serrations having no cutting edges. It is used to produce extreme accuracy in the component by compressing the metal. Components on PCD of Splines or on the Major Diameter of internal Straight sided Splines, involute splines or serretions . Spline mandrels are used to locate the components on PCD of splines and carrying out finish machining operations with respect of PCD of splines. They are also used to check the components accuracy like face run-out and OD run-out with respect to PCD of splines. 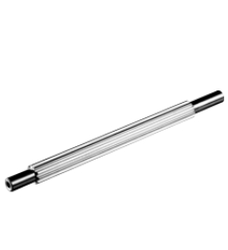 We are engaged in offering a quality approved range of Runout Splines Mandrels.